We are always looking for new places to visit especially places that are local to us! 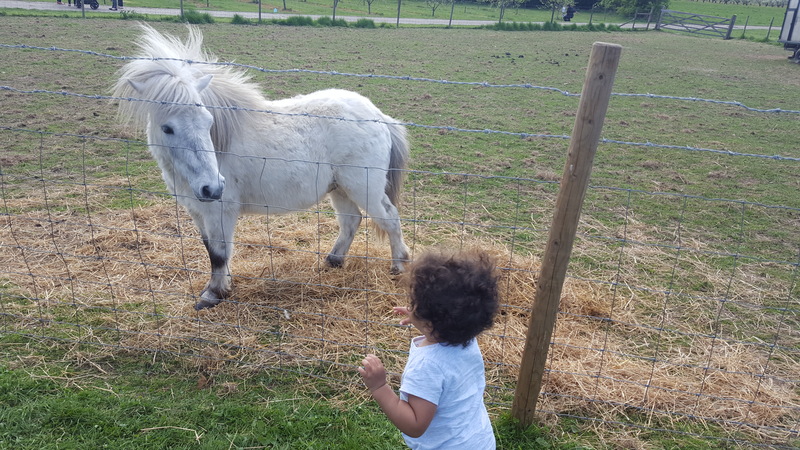 Little Fant Farm is certainly a place that we have discovered that ticks all our boxes! Close to where we live! Somewhere for Lola to run around! Little Fant Farm is a small working farm based on the outskirts of Maidstone. It is easily accessible from the town centre by walking along side the river or it is only a 5 minute drive from the town centre. It is also only 10 minutes walk from East Farleigh train station. 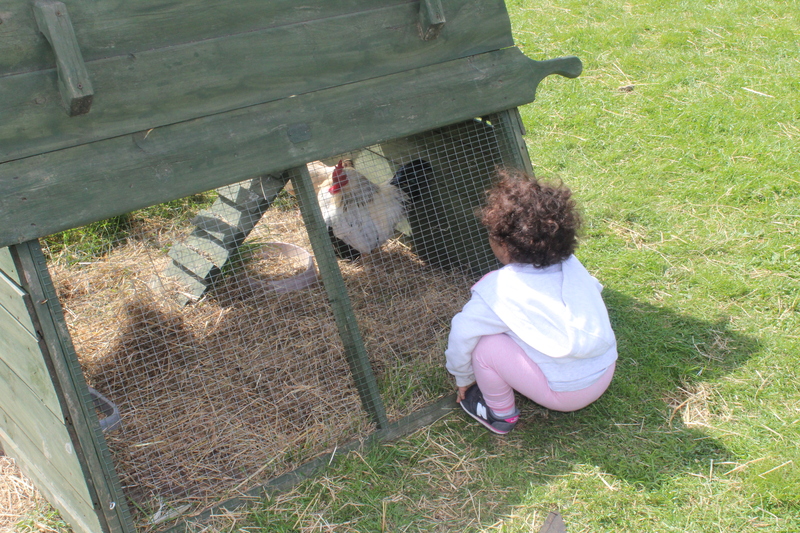 They have various animals including pigs, chickens, ducks and 2 beautiful ponies. There are also pear and plum orchards which they make their own fruit juices to sell. As well as being a working farm, Little Fant Farm also have a small cakery and make some of the most delicious treats. The products made in the cakery are all sold at the Farm or can be ordered. This also includes bespoke and naked cakes! 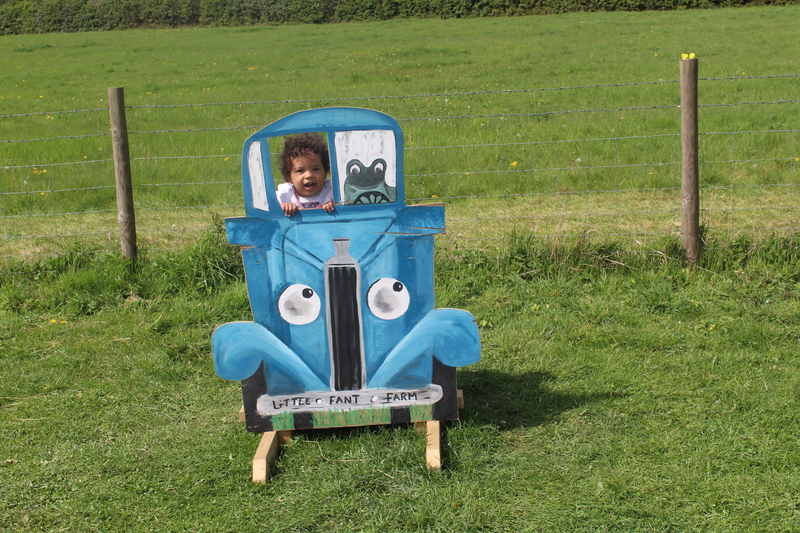 We first visited Little Fant Farm over the Easter Holidays and it was only Lola and I. As soon as we arrived I already could not wait to take more family there! We visited again a few days later with Babs as well. Being the Easter Holidays meant they had a number of Easter activities going on. 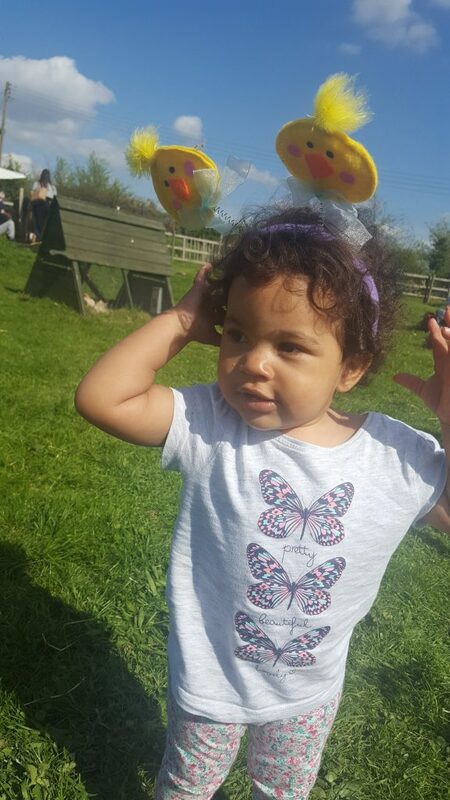 There was a free Easter Egg hunt for the children, they had a photo area set up with various Easter props and you could also go round and see all the animals. 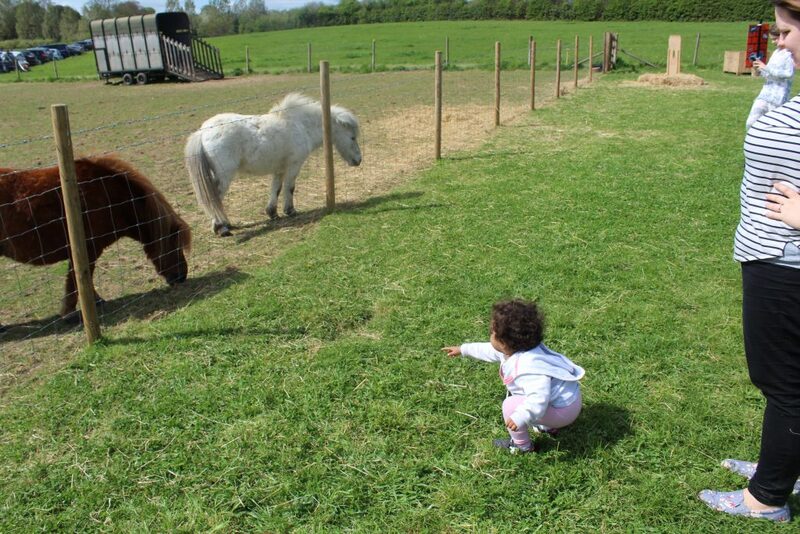 Lola loved seeing the ponies, the first time we visited she didn’t get too near. The second time she was showing off to Daddy and kept calling them over to her and then sitting down for them! The ponies were both so friendly and it was very clear they were very happy around children. If they had enough they just walked away, but they were always soon back for some more attention. On our first visit Lola and I shared a cheese swirl and a piece of shortbread. All made at Little Fant Farm! They were utterly delicious and were gone so quickly! 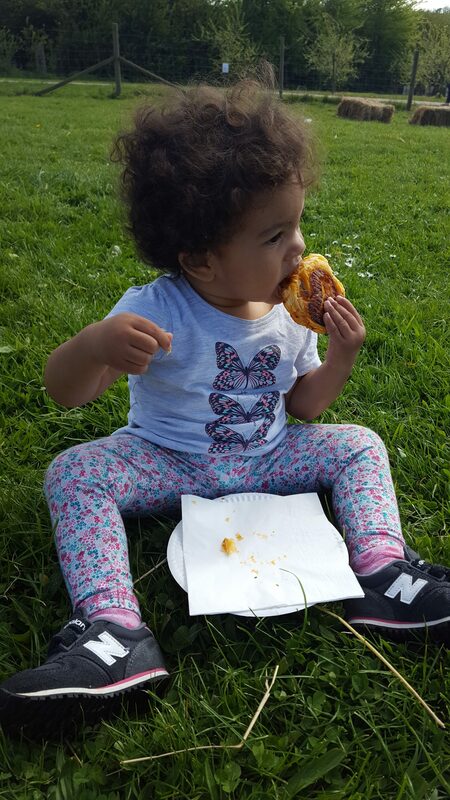 The second time we visited we bought a bottle of pear juice, some cakes and a sausage roll! Again all absolutely delicious and all tasted so fresh. The pear juice was beautiful and I love knowing that it is made with the pears from the orchards at Little Fant Farm. We can’t wait to visit again to have some more treats! You can visit Little Fant Farm any day of the week. Monday to Saturday it is only accessible by foot but you can walk through the farm and see the animals. It is also possible to still try some of the treats as they have an honesty table with some of the treats! On a Sunday Little Fant Farm have Farm Yard Tea Barn Days. Sunday’s are from 11.30am until 2.30pm. They sell all of their treats in their open barn, with plenty of seating on hay bales and being in a huge field it means kids can just run around! It’s also worth checking out their Facebook Page or Website just to find out what events are going on! As they are well worth going along to!